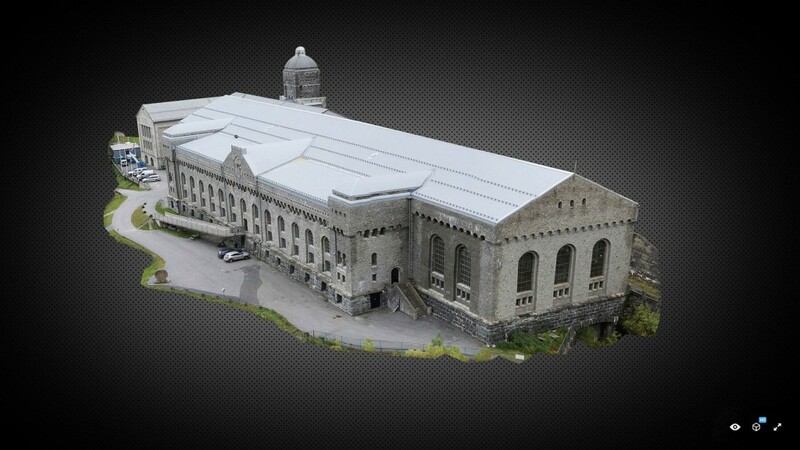 In 2015, several buildings and sites in Rjukan and Notodden were declared part of UNESCO’s World Heritage. 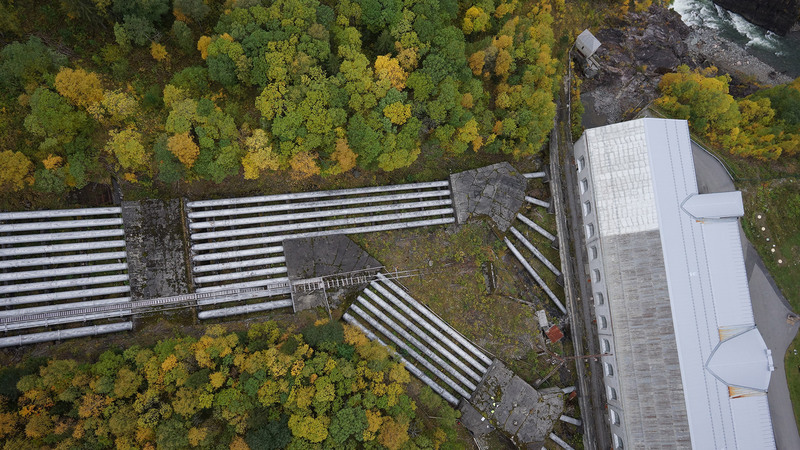 Orbiton was contacted by the Telemark County Council, who wanted to make use of drone technology to create a 3D model of Vemork power plant in Rjukan. 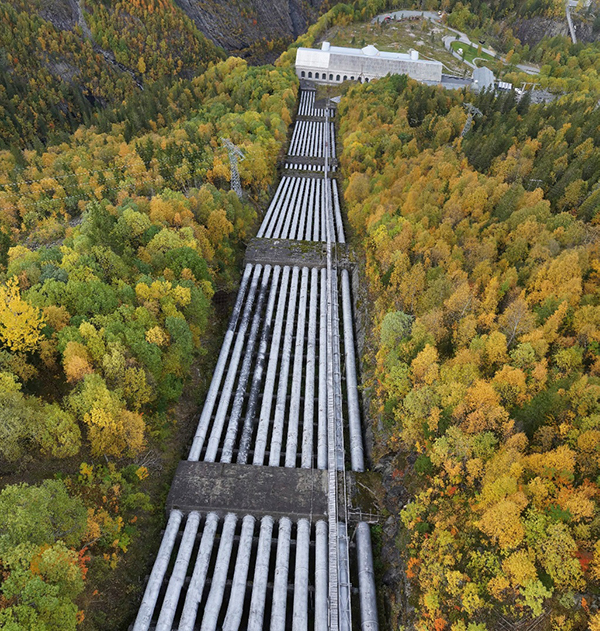 Vemork power station consists of both the former power station and the modern, active power station. 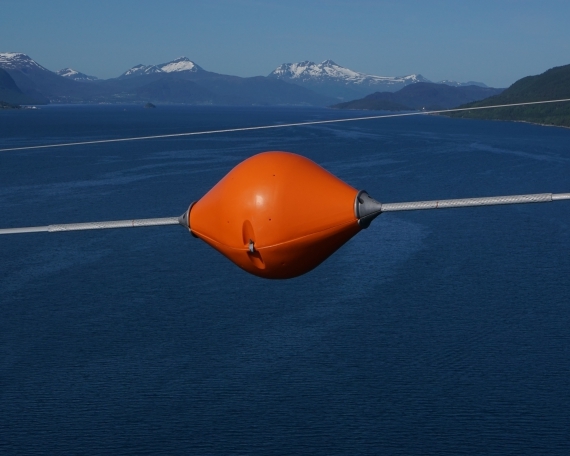 Therefore, the biggest challenge for drone flights – in addition to the difficult terrain – was the presence of a network of high voltage transmission lines. 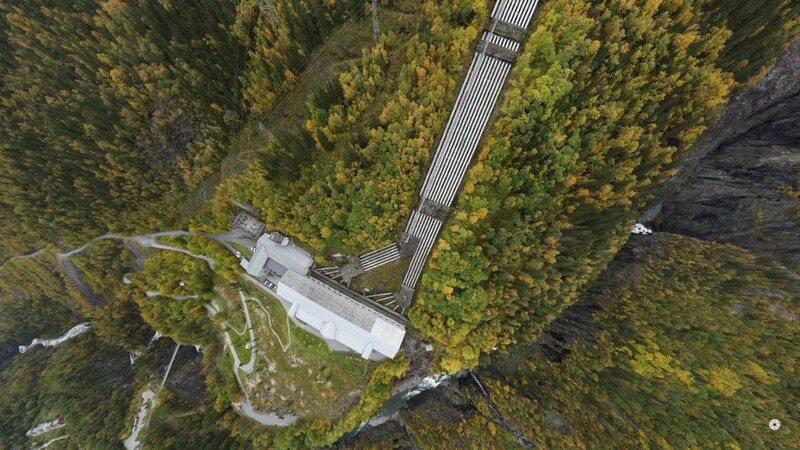 After a thorough risk analysis Orbiton performed 16 flights at Vemork, with some challenging flights due to turbulence along the steep mountainside. 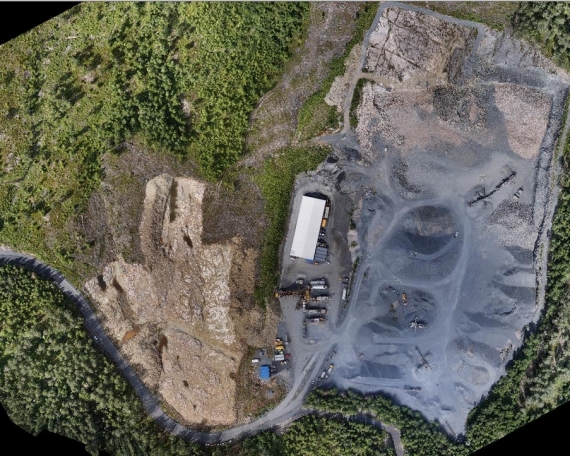 About 500 photos were taken from the air of the power station and penstocks, according to a specific acquisition protocol that would ensure proper production of the 3D model. “Structure from Motion” (SfM) is an imaging technique that consists of producing three-dimensional structures from two-dimensional image sequences. This was the procedure Orbiton used for data capture at Vemork. Several pre-programmed flights were prepared and the mission was solved with both fully automated as well as manual flights. 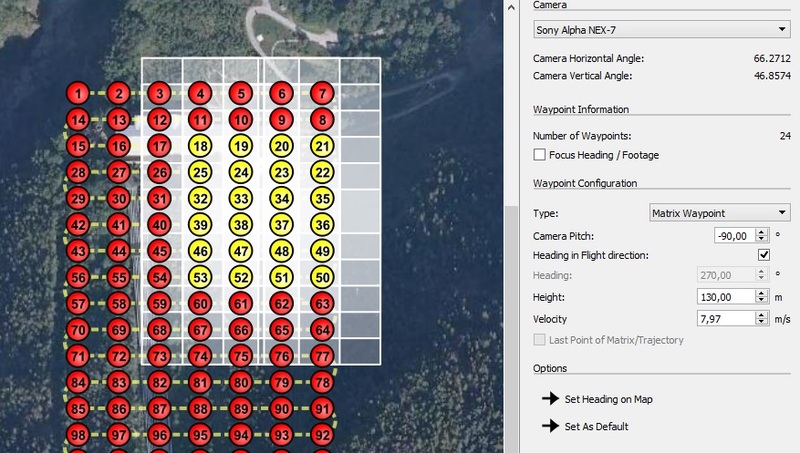 GPS data from the drone was recorded into the image files, meaning that x, y and z coordinates were inserted into each picture to know the exact position it was taken from. This GPS information was then used as the basis for the production of the 3D model. For this job, Orbiton used a custom camera with 24 Mpix resolution and 19 mm optics. The images were captured with an overlap of 85% by 65%. The unmanned system was programmed to fly at a speed of 7 m/s at 70 and 100 meters altitude. 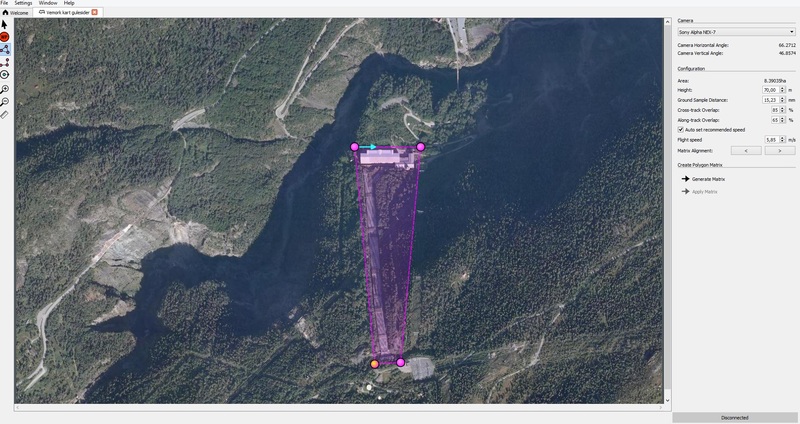 To ensure a high degree of detail in the data sets, flights were flown at a 90° angle to one another. The data showed a high level of detail from pixel center to pixel center, in this case resulting in a GSD (Ground Sample Distance) of well below 2 cm. 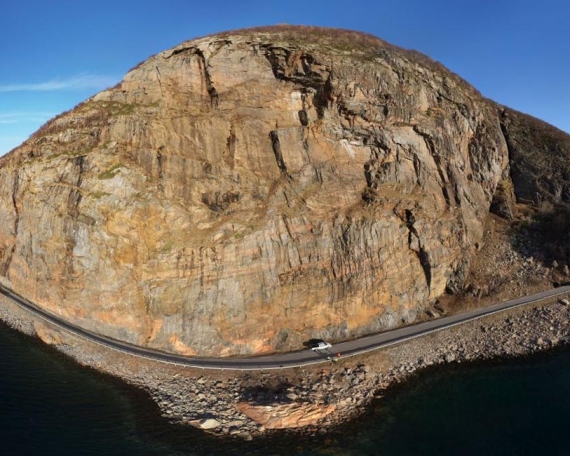 To produce a 3D model, the pixel-based data – photographs – were first converted into a “point cloud”, which is a data set consisting of millions of individual points. These individual points are then connected by small triangles so that all points are woven together into a so-called “wire frame”. 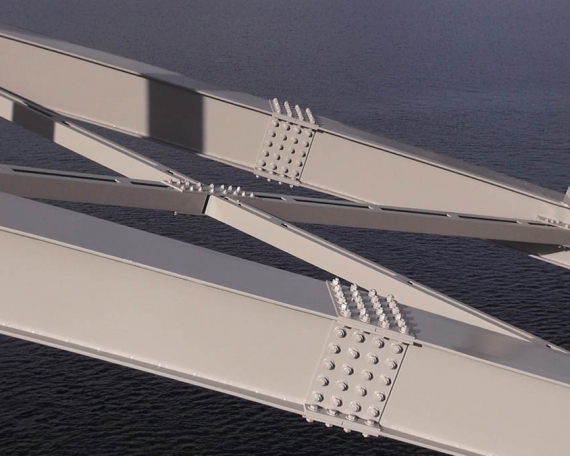 The triangles are used to generate a solid surface between the points. Finally, the RGB data from the actual photographs were used to color the surfaces between the points.